Michel Chikwanine was only five when he was abducted from outside his school by rebel soldiers in The Democratic Republic of Congo. 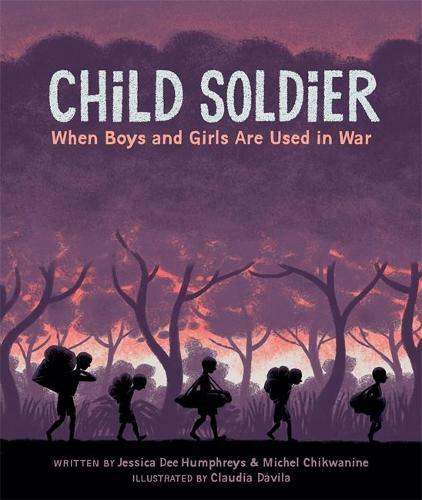 In this thought-provoking graphic novel, Child Soldier depicts the story of his happy life before the abduction, his harrowing time with the rebel militia and his ultimate escape from their clutches to a new life in Canada. This book is aimed at readers aged 9+, however it does contain some images that some readers may find difficult or distressing. The cartoon / graphic novel style of the book does contain images of violence, including guns, knives, dead bodies and other explicit scenes.